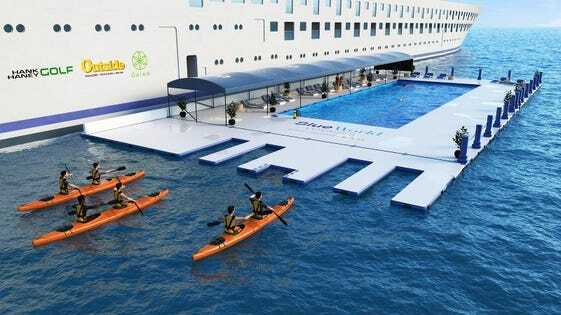 Imagine an entire cruise ship deck designed just for sports + fitness. Another for spa amenities. Add local farm-to-table cuisine and healthy, active shore excursions and you have a cruise experience like no other. As the former President of Starbucks and EVP of Four Seasons Hotels, I've personally seen how great concepts make for great investment opportunities. Join us and become a charter member of our FoundersClub, where your future perks and discounts outweigh the cost of yourinvestment. 1 CEO John B Richards is the former President of Starbucks and led growth there from 300 to 3,000 stores in 3 years. While Sr. VP of Four Seasons Hotels, the brand grew from 8 to 42 properties and from $400M to $2.5B inrevenues. John is also the former President of Dean and Deluca. 2 In addition to stock in the company, all investors become part of our FoundersClub, where the future perks and discounts outweigh the cost of the initial investment. 3 We have a sales agreement on a 900-passenger ship that we plan to downsize to175 cabins after a $26M re-fit. This will result in standard cabins roughly twice the size of industry standards. Post-refit, our cost per berth is 1/3 that of our 5-star competitors, providing a very comfortable break-even point along with significant price flexibility. 4 Co-Founder Fredy Dellis is the former CEO of a successful 200 unit residence ship called The World at ResidenSea and will lead the sale of 26 luxury one and two bedrooms residences that will be marketed by three of the top-five global realtors. These sales are projected to net $50M+ after build-out and sales expenses and will be used cover refit and operating capital. 5 Each week, our ship will have 350 like-minded passengers on board, an experience unmatched by other cruise lines. 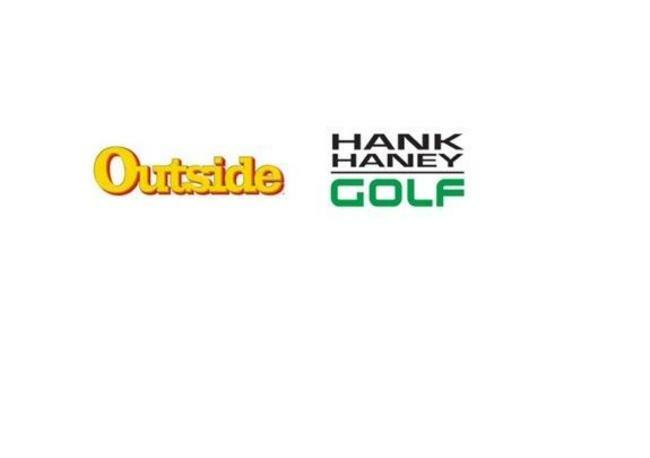 6 We've established strategic marketing partnerships with leading U.S. sports + media companies including Outside Magazine, Hank Haney Golf, well+good, Gaiam, Yoga Journal, and more to come. When combined, thesecompanies have a targeted active audience of over 30M. A conversion to passenger rate of less than .0005% fills our ship in Year 1. 7 Our full executive team has held C-Level positions with leading Spa, Hospitality, Cruise, and Fitness brands. Founded Landry & King- largest cruise ship charter in the U.S., 2006 “Cruise Industry Hall of Fame"
I'm very excited to see some new and big ideas in the equity crowdfunding space. My wife and I are not ordinarily cruisers – but this ship sounds perfect for us! I’ve met Gene and was impressed. Their plan is thoughtful, ambitious, and well-timed and they've got a dream team of talent to make it happen. Count me in when the investment opens! This is not your ordinary cruise ship. When Blue World came to us to get our help in designing their sports shore excursions, from hiking and cycling to kite-surfing and mountain biking, we knew it had the potential to be the perfect experience for our readers. 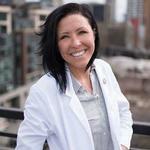 Maintaining healthy regimens while traveling has become a way of life for so many. We’re already seeing this emphasis, in a long-term way, on cruise ships today. 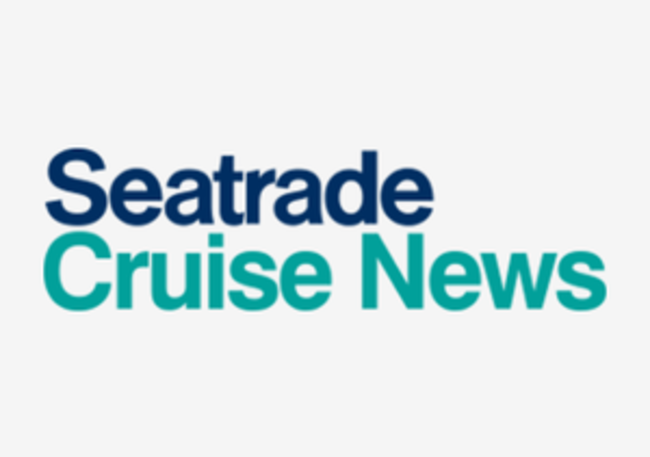 The significant focus that cruise lines have already put on this niche proves that it’s one that certainly has an audience, and is most likely more than just a passing trend. It will be interesting to see how Blue World taps into that audience. Our activities are designed to enable people already energized and healthy to have the time of their lives. But also to welcome people who want to be energized, healthy and have the time of their lives. Retired from electronic sales in the Bay Area. Enjoying some high country backpacking and spending time with the grandkids. 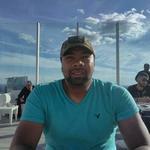 VP, Marketing @ LendingTree, Growth Marketer, Successful Acquisition @ CompareCards, Husband, Brother, Son, and Dear Friend. I'm a family man, a skilled union iron worker and aspiring, successful investor and entrepreneur striving for financial freedom. No water slides or slot machines? What kind of cruise ship is this? The kind that 41 million healthy, active adults have been waiting for. 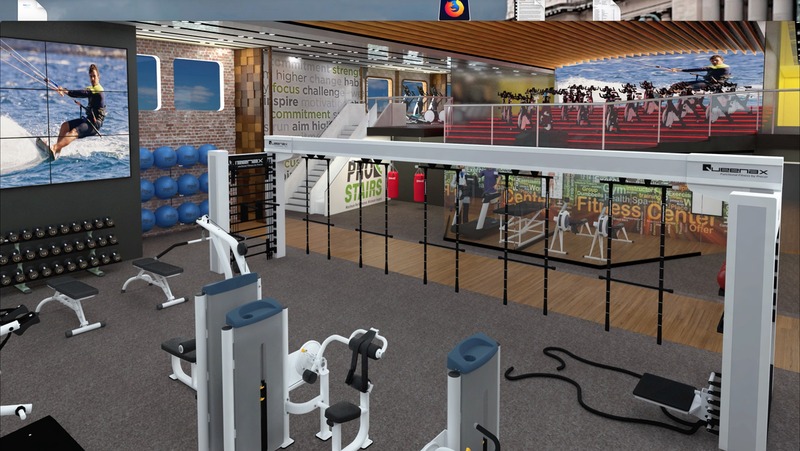 It’s designed for the next generation of health-conscious professionals, sports + fitness enthusiasts, and those in search of personal discoveries. Welcome to Active Lifestyle Cruising. cuisine, wine pairing lounges, a juice bar, and much more. The largest functional training center at sea. 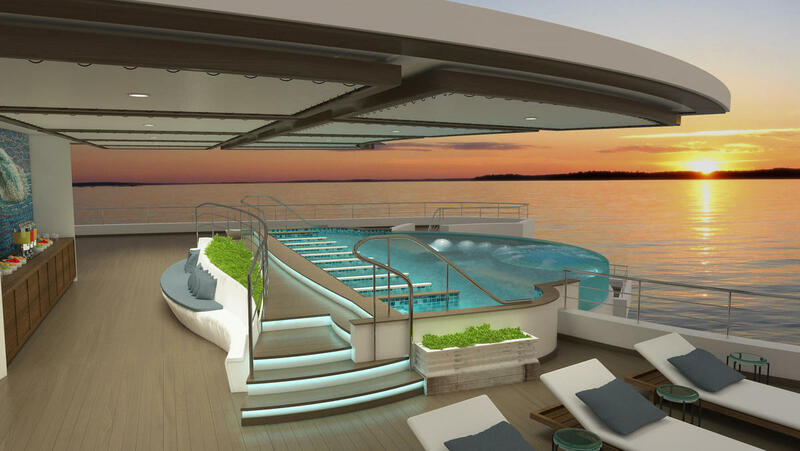 The industry's first sea-water lap pool. Our Bali Beds let you sleep under the stars. As a smaller vessel, we take you to places in the Mediterranean the big ships can't go - so you'll see and experience things they can't show you. 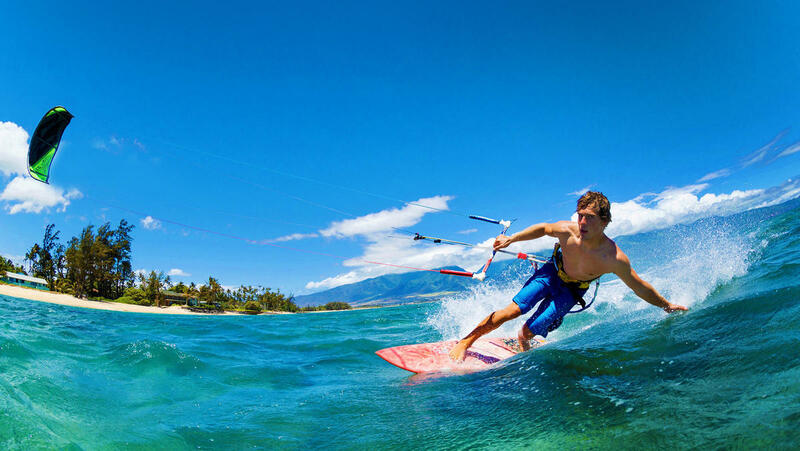 And you get the latest, highest-quality equipment and supervision from experts in each activity (with one of our many partners, such as Outside Magazine and Hank Haney Golf) - whether you bike, hike, snorkel, scuba, surf, kayak, paddleboard, play golf or tennis. We don’t plan to be that cruise line that floods your mailbox with unending brochures ... we source many of our passengers from strategic partnerships with major sports and media partners. (See some of our sponsor companies below) When combined, these partners reach over 30M active, healthy consumers - all potential Blue World passengers. A conversion rate from these partnerships of just .001% will fill our first ship. of the new year, we will be sailing. that’s our goal. That will bring us to a $400M+ market cap (See attached pitch deck for more details). Finally, Your Ship Has Come In! Within the last few years, I have presented Blue World to thousands of people. So, very often I hear the same reply, “You know Gene, my husband (or wife) and I are not cruisers, but this, we would do." And I can tell you, I never get tired of hearing it! We’re not setting out to ‘disrupt’ the cruise industry, in fact, the industry couldn’t be stronger. What we are doing, however, is creating a new and much-needed cruise product – one for active, healthy travelers. 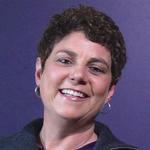 Little by little, we have put together an amazing executive team. These very talented folks have grown major brands including Four Seasons, Starbucks, The World at ResidenSea, Hertz Rental Car, Burger King, Cunard and Seabourn Cruises, Canyon Ranch, and Apple. Everyone on my team has been drawn not to me, but to the concept, because they all personally ‘walk the walk’... they all lead active lives and see the great potential for this product. I am honored to work with such a talented group of people. We've got great opportunities ahead. Our select media partners have a following of over 30M highly targeted consumers, and they are all anxious to help us grow our brand. We have agents in beautiful European ports excited about breaking the traditional cruise excursion mold to serve a more active crowd. And we have available ships of the perfect size for Blue World coming on to the market just as we need them, in time to expand our fleet. This is going to be an exciting voyage! With your investment, you become a member of our 'Founders Club.' We will ask for your help in designing our cabins, choosing our itineraries, and planning our excursions. You become part of our community. And together we explore the world, stay active and healthy, learn and do new things, and get to help others along the way. We sincerely hope you will join us! At the beginning of January 2018, we closed our seed-round for a total of $450K. We have a sales agreement for our target vessel plus a refit cost. 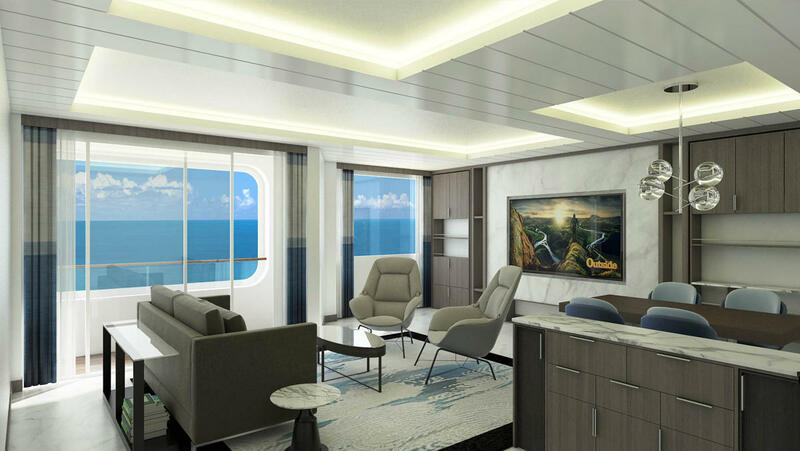 Many of our ship's renderings are in place; additional renderings plus a virtual walk-thru of the vessel are underway. Several of our media partners are now under contract with 3-4 additional to be completed before the end of June '18. The combined total of the targeted media following from strategic partners is in excess of 20M. We have a $5M commitment from an industry source towards our final funding round. Our present goal is to attract 5,000 investors to join our crowdfunded Founders Club. If successful, we expect this effort to raise $4.5M. A portion of this capital will be used as a deposit on the ship. Additional funds will also be used to prepare marketing materials for the sale of 26 Owners Residences. We have three leading international real estate firms who will represent us in the sale of these residences. $450,000K raised from 6 investors. 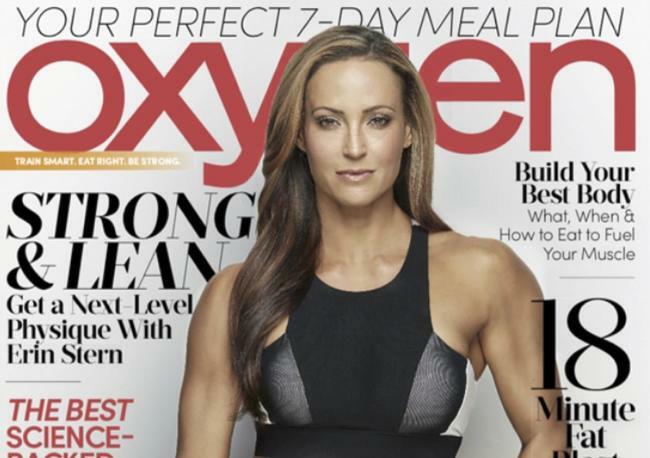 Over 20M readers from companies like Outside Magazine, Gaiam Yoga, Hank Haney Golf, and more. We start selling our VIP "Founders Club." Complete sales of VIP "Founders Club." Founders Club members, plus 12 sports-themed charters by strategic partners. Early reservations for all Founders Club members. Retrofit estimated at $26M to be completed in 6 months. Last year, cruise lines recorded their best profits in a decade. In the first nine months of the year, Carnival's net profit margin was 15.5%, earning $2.06 billion. In the same time period, RCCL's net profit margin was even higher – 19.7%. There are 41 million health-conscious adults ages 35-65 in the U.S. alone. When you add other countries like Europe, Asia, Canada and South America, we have a large pool of potential customers. 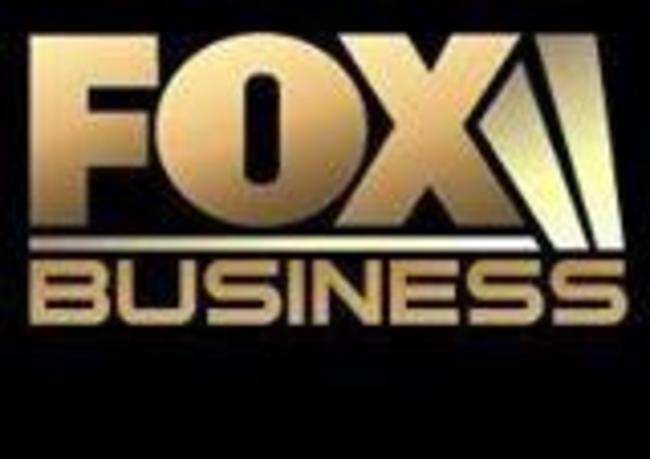 We have partnered with leading media, manufacturing, and service companies in the sports and wellness industry. Combined, these partners have a very targeted reach to over 20M active, healthy consumers - all potential Blue World passengers. A conversion rate of just .001% will fill our first ship. People are tired of the crowded mega-ships that make up the traditional cruiseexperience. The market for specialty, single-focus cruises has grown by 105% over thepast 5 years, and in the U.S. alone, there are around 41M people ages 35 - 65dedicated to healthy lifestyles. To serve this growing population, we're creating a newmarket in specialty cruises: ‘active living cruises.’ We plan on serving this marketwith 3 ships in 5 years – and we have the executive leadership to make it happen. What is Blue World Voyages? Blue World Voyages is the world's first luxury cruise ship 100% dedicated to sports, fitness, and good health. Each week, we sail with like-minded passengers who already lead active, healthy lives, and others who are looking to move in this direction. We are the opposite of one-size-fit's all cruising. This common purpose of our guests offers a unique environment for motivation, new friendships, and personal discovery. There are currently 42 million 'conscious consumers' in just the US alone. These are people who eat well, exercise, and are actively interested in staying healthy, learning new things, and traveling the world. This is not a trend, it's a lifestyle, and it's growing quickly all around the world. There are no ships in the global cruise fleet that cater exclusively to this market! 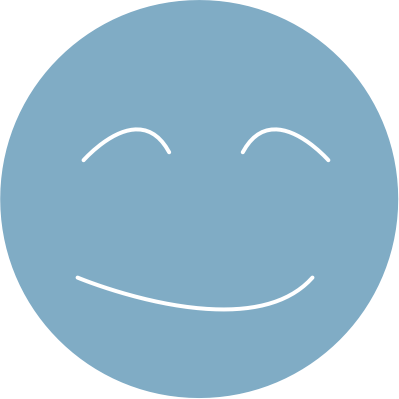 Blue World has the opportunity to be the first, and will scale up to lead this new niche market with a highly qualified executive team. What differentiates Blue World Voyages from other cruise lines? If you have ever visited a resort spa, you know how different the experience is from a hotel spa, or a day spa. At a resort spa, everyone is there for the same reason. The synergy created by an entire group of like-minded people becomes both a powerful motivator, and an environment for new and positive friendships. With the exception of themed-charters, this like-minded passenger environment did not exist in the industry - until now. The current trend for the majority of cruise lines calls for the ship itself to be the 'destination'. We take the very opposite approach. We choose our itineraries based on where we can find the best cycling, hiking, water sports, yoga, golf, tennis, running and other active adventures. But, equally important is where can we find the best food and fresh-provisions our ship and the best wines for our passengers to enjoy, plus unique educational and personal enrichment travel experiences. It is very unusual to 'downsize' a cruise ship. Many cruise lines cut ships in half or add additional decks to make them larger. Yet, if you ask anyone who has been on both a large ship and a smaller luxury vessel, the answer is always the same. "I prefer the smaller ship experience". 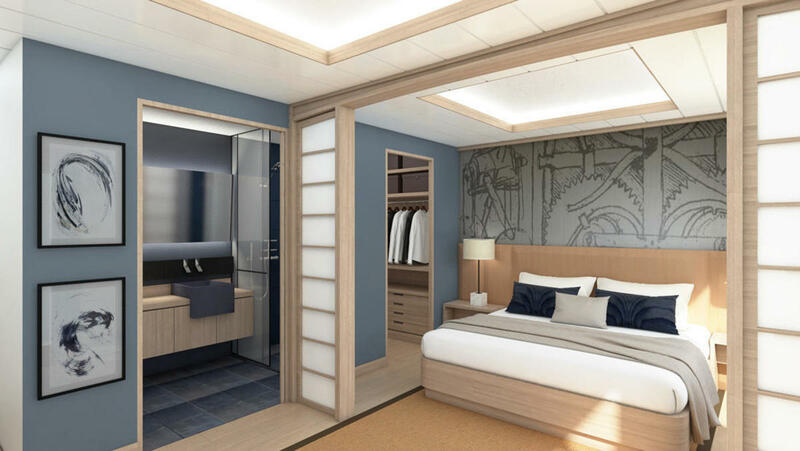 By reducing the passenger capacity of a larger vessel, we can build new cabins, twice the conventional size, with beautiful large bathrooms and walk-in closets designed for all kinds of active gear and equipment. Unlike most cruise lines, Blue World guests will not be constantly charged every time they turn around. Many of our excursions will be included in the price of our cruise; the same with restaurants, drinks, and other activities. In fact, on each 7-day sailing, we will offer three 'Signature Events". These are designed to be once-in-a-lifetime activities, both on land and onboard, and free of charge to all passengers. What else makes us different? We have the largest spa to passenger ratio in the cruise industry, plus the largest sports deck at sea, including a unique floating sea-water lap pool. 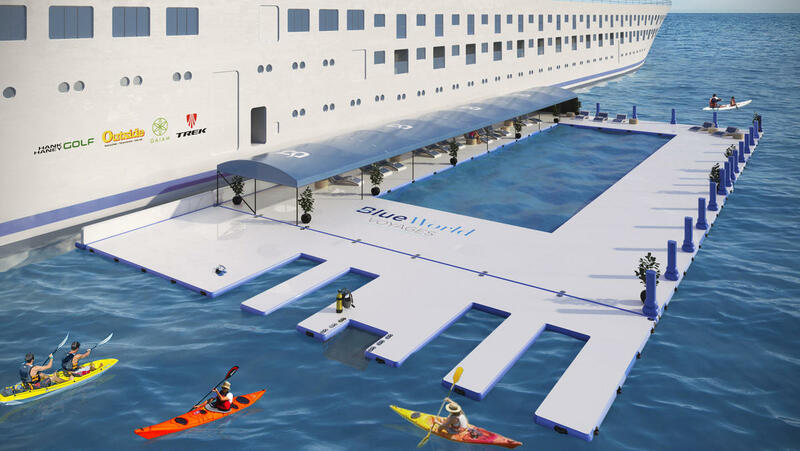 Blue World will have better and more inclusive on-ship amenities for active passengers than any other ships afloat - by far! How will you acquire your first ship? We have inspected several ships to date, and have a sales agreement on one vessel that we like very much. There are a few others coming to market soon, and we will consider them as well. Our target ship has been managed by one of our investors over the past few years, so with that, we know the ship well. We have agreed on a purchase price for this ship, and it is possible that the owner may offer some amount of financing. This is very common to the industry. It is also common practice for shipyards to offer partial financing on substantial refits or newbuilds. For now, our financial model does not anticipate any ship financing. We started this company with very close to $500K of seed-capital in the form of short term notes. This amount covered traditional start up expenses to date. A 10% deposit will be submitted to the ship's owners within 90 days. This will secure the vessel and a delivery date will be established (ideally for end of year 2018) The ship will then undergo an extensive refit in a ship yard to be announced. It is expected that this refit will take approximately 5-6 months. Prior to submitting this deposit, we will review the potential of all other available vessels and can, if necessary, purchase a different ship should we find one to be more suitable for our project. The ideal size vessel for our project is in the category of 20,000 - 30,000 gross registered tons (GRT). Our research shows that there are several vessels of this size that will be coming to market within the next few years. Therefore, the availability of additional ships to add to our fleet will not be an issue. Prior to any ship purchase, a full inspection will take place. This is carefully performed by a qualified and insured third party. The benefits of utilizing an existing ship for this project vs. a newbuild are substantial. After refit, our per-berth cost will be approximately $160K. This is between 1/2 and 1/3 of the cost per-berth of a 4-5 star vessel. This cost allows for a lower break-even point and as operators, offers us tremendous pricing flexibility. The current re-fit estimate is $26M USD. There are 41M in the US alone who are considered 'conscious consumers'. These are people who eat well, exercise and are focused on healthy lifestyle choices. This number increases exponentially when you add other countries, also with a growing healthy population. These include: Europe, Canada, South America, and Asia. As we are most interested in an international audience, we will market for passengers from these countries as well. We anticipate that the majority of our guests will fall between the ages of 35-65. However, we will attract passengers both younger and older than that range, and they will be most welcome. Our product will fall into the 'specialty segment' of the cruise industry This is one of the fastest growing and highest yield (per passenger) in the industry. Over the past 5 years, the specialty segment has seen annual growth of 21% per year. Our target customers will be the following: 1) Past cruisers who have tried the big ship experience but (for many reasons) are looking for a smaller and more suitable cruise product that better fits their lifestyle. 2) First time passengers who have shunned the traditional cruise experience as too sedentary and are not interested in overindulging on their vacation. 3) Sports enthusiasts who participate in our top 7 activities. These include: hikers, cyclists, runners, yoga practitioners, golfers, tennis players, water-sport athletes, and general fitness enthusiasts. 4) We will also market to adults who are looking to get into better shape. Blue World will offer a motivational environment along with an experienced team of nutritionists and exercise physiologists for coaching and lifestyle change. 5) Past active vacationers. 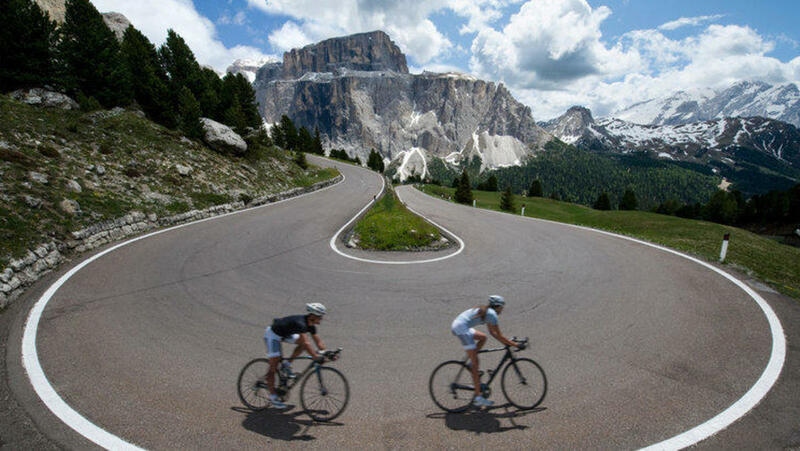 We offer an interesting option to the growing market of bike touring, backpacking and other active vacation categories. The benefit of a ship-based program vs. traditional land-based active outfitters is the important issue of quality lodging with no need for constant packing and unpacking as you change locations. Our goal will be to attain one of the highest repeat rates in the industry. If passengers enjoy their trip with us on our Spain/Portugal route, we want them to return the following year and try our England/Ireland/Scotland tour. Our #1 job is to provide a high quality product that keeps passengers coming back! How will you find your first ticket buyers? Our crowdfunding goal is to attract 5,000 investors/early adopters to our concept. If successful, these investors, plus passengers coming from our sponsor companies and first year themed cruises, will put us at 70% occupancy prior to launch. We will also be a travel-agent friendly product. Travel agents in the US account for the majority of today's cruise bookings. Our sponsor companies have a combined total of over 20M followers. A small fraction of these very well targeted affluent consumers are more than enough to fill our first ship and will quickly create the need for additional vessels. How are your media partnerships structured? We are working with a select group of leading media, manufacturing and service providers, each geared towards active lifestyle products. All agree that Blue World will be of interest to their consumers. We have asked these companies to assist Blue World through a combination of promotional support and paid advertising. Currently, we have signed contracts with some and are in final stage discussions with others. Each of our strategic partners can reach an audience of over 2M targeted followers. Many of these partners will be offering annual theme-based cruises targeted to their consumers. Blue World will assist in the marketing of these special events. We have also asked our sponsor companies for their advice and support to ensure that our product offerings, both on and off our ship, are of the highest quality possible, using the best equipment and latest techniques. Our sponsors have a wealth of knowledge in their specific fields, and can provide us access to leading experts as needed. Wherever possible, we will also be promoting our sponsors' products on board our ship as well. How will the media partnerships work? Media companies are always looking for ways to create revenue. Take Outside Magazine. 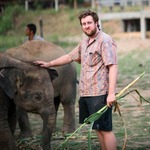 They have 2.5 million print readers and 5 million visitors to their website every month. If just 0.1% of their readers come on a cruise every year, that’s worth $2 $3 million in commissions to them. We’re looking for a long-term partnership with these companies. As long as they keep promoting us and writing about us, we'll keep commissioning them. If an Outside Magazine reader comes on one of those specific cruises, or cruises with us at any time, then when the reader come back and sails with us again, Outside will get the commission. We're essentially turning the media companies and manufacturers who are aligned with our product into our travel agents. What destinations are you considering? We choose our itineraries based on where we can find the best cycling, hiking, water sports, yoga, golf, tennis, running and other active adventures. But, equally important, are places where can we find the best food for fresh-provisions for our ship, the best wines for our passengers to enjoy, plus unique educational, cultural, and personal enrichment travel experiences. Our first ship will be positioned primarily in Europe where we have an abundance of great food, wine and active shore-side options. Our plan is to change the itinerary of our ship on a monthly basis. For example; one month sailing in Spain and Portugal, then the next in France and Corsica, then move to Italy for a month, then Greece. Following this, we would re-position the ship to sail perhaps in Ireland/England/Scotland then up to the Baltic countries. We have not yet decided if we will spend an entire year in Europe and face the colder weather, or re-position the ship to either the Caribbean or South America. We will make this decision shortly. Describe a typical day on board. Wow, that's a lot to write about! Let's say we're in Corsica. The ship will have at least a dozen different things going on. If you're a runner, we'll have an early morning run starting from the ship, but guided by a local Corsican runner who will offer us the most scenic yet safest routes to take. If you like yoga, we may have a sunset yoga class at a beautiful historic Monastery overlooking the Mediterranean. Or, you may start the day with a personal trainer onboard the ship. We will have a few cycling trips planned for our passengers; each based on different skill levels and ride lengths. The same with guided hikes. Similar to running and cycling, here too we will hire local guides who know the area. If you are a golfer or tennis player we have arranged for you to play at a local country club against some of their members, and we will invite your competition back to ship for lunch. And this all happens before lunch! Depending on the activity, you still may have plenty of time left for local sightseeing, shopping, beach time, or to sip a beer at a local pub. You can spend your mornings and afternoons any way you like; perhaps spend some time in our spa or salon. Or, just stay by the pool and get some sun. In most ports of call we won't leave until evening, so if you choose to have dinner ashore - there's plenty of time. If you dine onboard, you have three themed restaurants to choose from. We will have live entertainment at night, movies on deck and lots of other options. What's most important to us is that you have fun, and leave our ship feeling better than ever! Why limit your ship to 350 passengers? In some cases our ship will dock, but in others we will use the ship's tenders to transport our passengers ashore. With a smaller number of passengers (as opposed to 3,000) this is easily done. Plus, tendering allows us to seek out the more exotic and interesting ports where larger ships are prohibited. Back onboard, a smaller number of passengers will allow us to provide a 5-star level of service in terms of cabin service, restaurants, training center, spa and salon. A more intimate environment, highly personalized service... this is hard to do with 3,000 passengers. How many passengers do you need to break even? Our projections call for 80% occupancy in year 1, which will generate approximately $49M in revenues. If we can exceed this capacity in our starting year while maintaining a very high level of service, we will. But we will not push the 80% level until we, and our passengers, are 99% satisfied with our product. Our fixed operating costs are approximately $30M annually; this results in an operating margin of about 38%. The clear benefit of using an existing ship vs. a newbuild is in our breakeven number. After refit, we break-even at around 53% occupancy at average per diems of $350 per person. Our goal is to add two additional ships to our fleet within the first 5 years. This allows us to expand our inventory and spread fixed land-based expenses over a larger fleet. All of which will increase our profit margin. In five years we hope to have three ships in operation and be the leading provider in an exciting new niche category for 'active lifestyle cruising'. We have the right funding strategy and management team to make this happen. Where did the idea for this company come from? Gene Meehan: As founder of Blue World, I "walk the walk". My wife and I were married on top of Mount Kilimanjaro. I'm a competitive rower, and a 7-handicap golfer. I have been involved in sports and fitness all of my life, and I intend to stay active for a very long time ahead. But cruising is also part of my life. I "married into" the industry. By now, I've been on at least 50-60 ships, and in truth, I have enjoyed them all. But 9 times out of 10, I eat too much, drink too much, and don't get as much exercise as I do at home. So Blue World was created for people like me - and there's a lot us out there - who are looking for a more active, healthier vacation. But, I am not alone. Everyone of our partners and executive team are healthy active individuals, and we understand our market because we are the market. So maybe we are creating a product just for us. It's possible... but why not invite the other 42M in the US that live the same way we do! We have no control over what could go wrong in the outside world. We have seen the economy take a nosedive before, and while the cruise industry, like every other industry, slowed down, it recovered just as quickly. One thing that I have discovered from being in the health/fitness business all of my life is that even in a downturn, and sometimes especially during hard times, people tend to internalize. What's most important to them is personal health and family. What I love most about taking a crowdfunding approach in creating our Founders Club is that we are building a community. A community that will, we hope, be loyal to us (if we do a good job) and we will be loyal to them. In good times and in bad. We are all living a very high-stress world. It's important, it's healthy, to take a break every now and then. Yes, we are taking a different approach to cruising, but I know from 30+ years in business, sports and wellness is far past being a trend - it's a lifestyle. Like most start-ups, cash is like kryptonite, and we have been very careful with it. 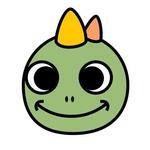 To date, we’ve raised nearly $500,000 of seed capital in the form of short term notes. Our goal with crowdfunding is to attract 5,000 investors to join our Founders Club. If successful, this should raise about $4.5 million. Following this, we will commence the sale of 26 one and two bedroom Owner Residences on our ship. To accomplish this, we have three of the largest real estate firms in the world representing us. After expenses, these sales will generate $51 million. Finally, we have a third-round capital raise of $20 million. We currently have a commitment for 25% of this amount, but we have intentionally held off on the rest for a very good reason. Within a short time, we hope to have 5,000 Founders Club members, all with stock in our company and credits towards their first sailing. Then adding to this, 12 sports-themed cruises, hosted by our select group of leading media companies. Add this together and we have 70% occupancy before selling our first ticket. If/when investors ask about 'proof of concept' - there it is. What makes you the right team to do this? Blue World Voyages has financial statements ending December 31 2017. Our cash in hand is $17,000, as of April 2018. Over the three months prior, revenues averaged $0/month, cost of goods sold has averaged $0/month, and operational expenses have averaged $15,000/month. Goodbye buffet lines and slot machines. Our 350-passenger luxury cruise is for people who care about active living. Join us for cycling, hiking, water sports, golf, and yoga as we sail the Mediterranean, visiting the smaller, more intimate ports the big ships can't. While on board, enjoy farm to table food, and the largest sports and spa deck at sea. This is your chance to join our VIP “Founders Club” and own a piece of this brand new kind of cruise experience. Consumers are tired of the traditional, one-size-fits-all cruise experience. The market for specialty, single-focus cruises has grown 21% each year for the last 5 years. 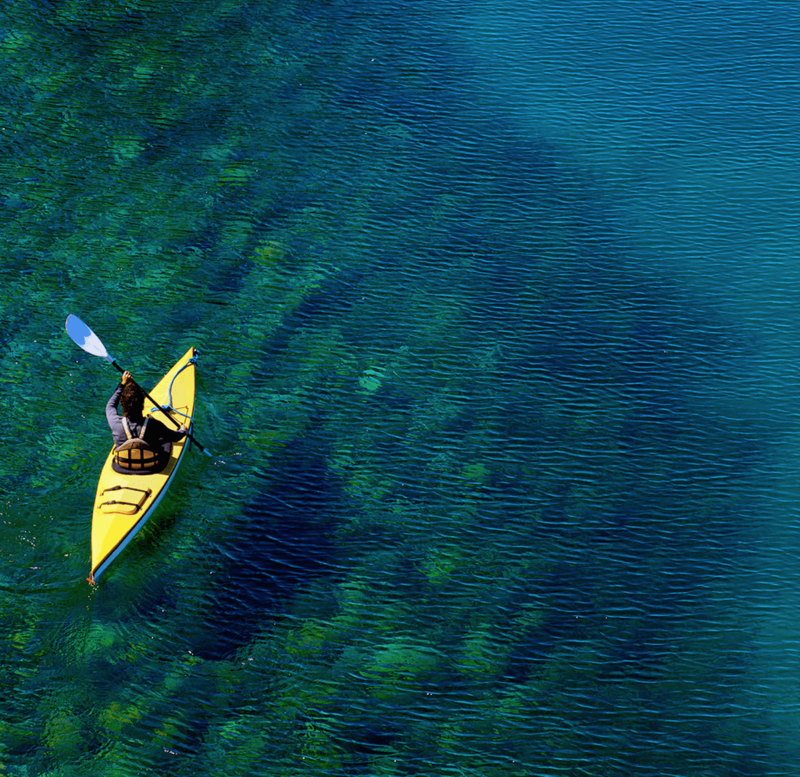 At Blue World, we're creating a new market within specialty cruises: active living cruises. In the U.S. alone, there are an estimated 42 million people ages 35 to 65 dedicated to healthy lifestyles. To serve this growing market, we plan to have three ships in 5 years – and we have the executive leadership to make this happen. Blue World Voyages, LLC was incorporated in the State of Florida in April 2016. There was a previous entity also called Blue World Voyages, LLC, this was dissolved in 2015 and liabilities were carried over to the new entity. As President, our CEO grew Starbucks from $400M revenue to $2.5B in 3 years. Our CEO grew Four Seasons Hotel from 8 to 42 hotels. Media partners have 20M+ readers. A conversion of less than 0.1% fills our occupancy for the first year. Largest fitness/sports deck and largest spa deck in the industry. Our cabins are at least twice the size of standard cabin sizes. All investors become part of our Founders Club. Our company was organized in April 2016 and has limited operations upon which prospective investors may base an evaluation of its performance. Assets. As of December 31, 2017, the Company had total assets of $164,834, including $0 in cash. As of December 31, 2016, the Company had $176,253 in total assets, including $26,021 in cash. Net Loss. The Company has had net losses of $26,169 and net losses of $33,841 for the fiscal years ended December 31, 2017 and December 31, 2016, respectively. Liabilities. The Company's liabilities totaled $307,774 for the fiscal year ended December 31, 2017 and $293,024 for the fiscal year ended December 31, 2016. To-date, the company has been financed with $409,834 in debt and $200,000 in convertibles. After the conclusion of this Offering, should we hit our minimum funding target, our projected runway is 5 months before we need to raise further capital. Blue World Voyages LLC cash in hand is $17,000, as of April 2018. Over the last three months, revenues have averaged $0/month, cost of goods sold has averaged $0/month, and operational expenses have averaged $15,000/month, for an average burn rate of $15,000 per month. Blue World Voyages borrowed an additional $200,000 to enable us to get to crowdfunding round. We will not have revenues until May 2019. Additional funds will be raised to purchase and refit the ship and hire personnel to commence operations. This is a start up cruise line. Although its principals have experience in operating cruise lines, the company has no operating history on which to forecast revenues and operating results. We only have an option on a ship. Funds raised will be used for down payment. We also have knowledge of other ships that are available and but this has not yet been secured. The markets in which we operate are highly competitive and rapidly changing, and we may not be able to compete effectively, especially against competitors with greater financial resources or marketplace presence. Any significant decrease in consumer confidence, or periods of economic slowdown or recession, could lead to a curtailing of discretionary spending, which in turn could reduce our revenues and results of operations. Changes in laws, regulations and other requirements could adversely affect our business, results of operations or financial condition. Our company represents a new business model for the cruise line industry; you must consider the challenges, risks and difficulties frequently encountered by early-stage companies using new and unproven business models in new and rapidly evolving markets. Our future success depends on the efforts of a small management team. The loss of services of any member of this team may have an adverse effect on the company. There can be no assurance that we will be successful in attracting and retaining other personnel we require to successfully grow our business. All membership interests are currently held by Gene Meehan and Harold Gassenheimer, as such all voting power and managerial decisions will be made by the managing members. The success of our company depends on our ability to attract and maintain customers. A failure to do so would be detrimental to our business. Harold Gassenheimer and John Richards are currently part-time officers. Their other responsibilities may result in diminished time being committed to Blueworld Voyages and could potentially impact company performance. These advances to the Company bear no interest and are considered payable on demand. Video Tour of Blue World Voyage: "Ship to Shore"
The brand’s concept is fully fleshed out and ready to go. In short, it’s all about abandoning cruise line cliches of passé shuffleboard and indulgent buffets, embracing fitness and a healthy life while traveling instead. I am a passionate investor who would like to invest the startups which have great potential to grow. It Professional by choice and working in a MNC passionate towords value picks on the startups and smallcap shares in trading. 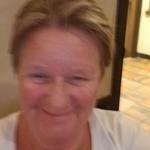 Hi, I own a Cruise Planners franchise (travel agency) and I'm interested in joining your travel professionals group. I would like to be notified when bookings open up and how I can learn more about your product and services. Thank you, Nik. My name is Mark Magdule. I am an ex-pat living in Mexico City for 38 years. My wife and I are very active entrepreneurs. I'm very excited about Blue World Voyages both as an investment opportunity as well as a great vacation option. I am Francis Cegelka. 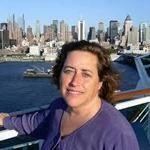 I worked on small cruise ships in the 1980's teaching snorkeling and as part of cruise staff. I currently work as a Merchant Mariner as a pilot aboard tugboat in the inland waterways. Good luck. Hi Gene, I am a guy who likes living this kind of life but doesn't know what ways to look for. Thanks for getting this to everyone like us. Thank you and I look forward to investing more before this round closes. 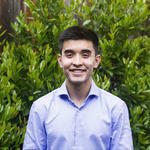 Graduate student, start-up enthusiast who would like to invest and encourage new start-ups. Hello: I am a psychiatrist well known for the treatment of eating disorders. I am highly skilled at helping individuals develop a healthy relationship with food, and I am at expert at addressing the psychological aspects of the development of a highly lifestyle with integration of movement and exercise. It is critical to not just supply avenues for movement, but to also address the psychological issues that help people engage in a healthy lifestyle. I am the owner of Breath of Heaven, a small business dedicated to wellness, mental health, and community connection located on the Isle of Cumbrae just off the coast of Western Scotland. Along with my team, we facilitate mindfulness, meditation, and empathy workshops as well as offer individual empathy and positive psychology coaching. Our business practices are environment-focused - using only biodegradable and sustainable materials (Vegware) for our complimentary coffee and tea offerings. We sponsor local efforts to rebuild our eco-system including beach cleans and the Cumbrae Beecology effort to restore bee populations to the Isle of Cumbrae. 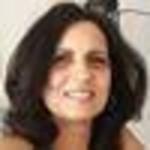 Having achieved my certificate in positive psychology through the Wholebeing Institute in 2015, I also have experience in managing global education programs, project managing large technology infrastructure implementations, and developing community groups. 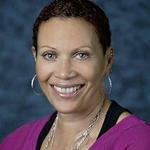 As a former Registered Nurse, I was on the team that created the LifeConnections Health Clinic - the largest employer-based health center is the western U.S. for Cisco Systems, Inc. in San Jose, CA. 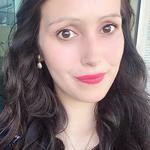 https://www.linkedin.com/in/julidempsey/ I'd be honoured to help in any way I can. I want to diversify my investments and I believe in the leadership and the niche they are carving out in the cruise industry. Thank you and good luck! Can't wait for the cruise! 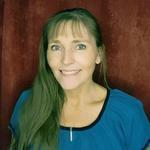 Hi, I'm Tabatha an avid cruiser and investor from New Zealand. 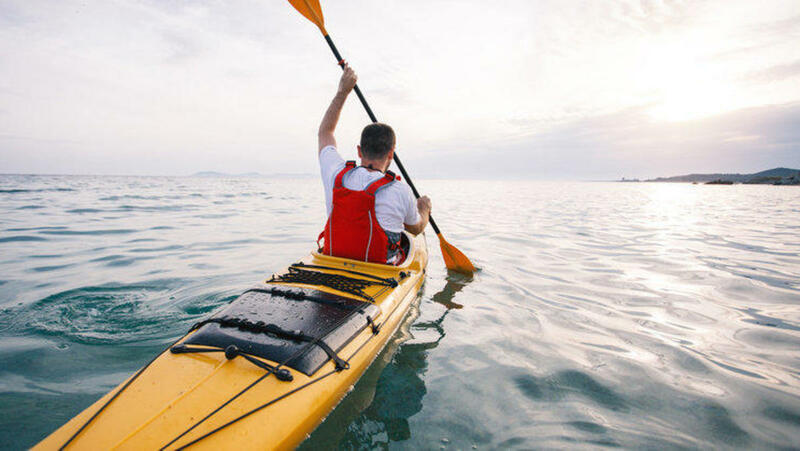 I believe in this concept and Blue World Voyages as I personally prioritize keeping active when I cruise and see a growing demand for health-focused cruises. As I turn 30 next year and am active and keen to explore more of the world, I may increase my investment before the deadline to take up the opportunity to receive a larger discount off my first cruise or a free cruise. I'm keen to explore the Med as well as the Carribean, South America, and Asia, which I hear may be on the cards for Blue World Voyages. I definitely look forward to sharing my views as part of the Founder's Club. As an investor, I look forward to championing Blue Word Voyages in New Zealand and Australia as well as with my American family and friends. 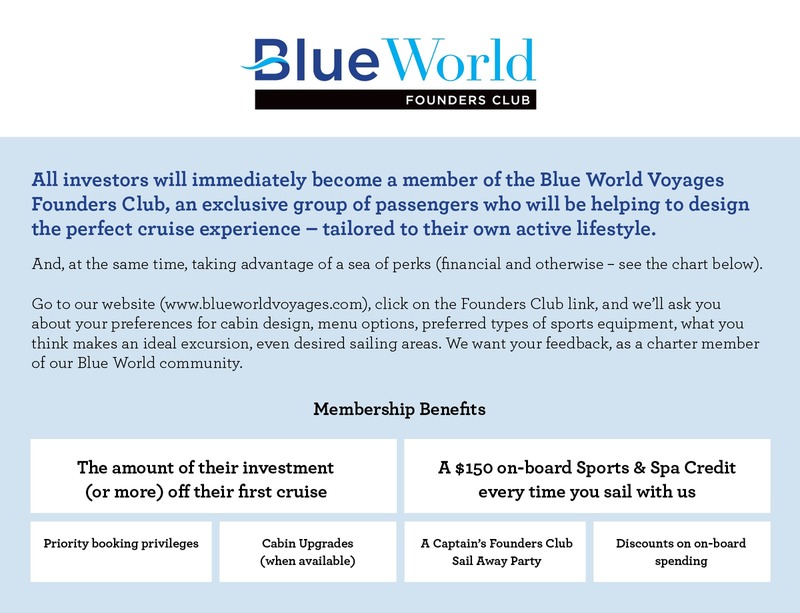 I've already shared your Wefunder page with a few like-minded individuals who also plan to invest in Blue World Voyages. 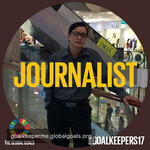 Keep up the great work, was impressed by your regular updates and recent CNN clip. I want to be a blogger for you. 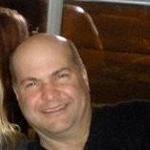 I'm a professional writer and have been on more than 15 cruises with Princess and Celebrity. I go to the gym 7 days a week and drink wine and vodka (not necessarily 7 days a week) and I'm over 55 and I love healthy food and working out. I can write blog posts about the places you're going (where I've likely been) and how I lose weight on every cruise I go on, always take spin classes and yoga on cruises, etc., I would really appreciate it if you could pay me $100 per post, as I want to be a paid blogger as a separate business from the one I have successfully run for nearly 25 years. (I want to know that I am travelling for business purposes). I promise to link my blogs for you on my own social media, etc. Thanks gentlemen and let's make this a huge success! As an avid cyclist and veteran cruiser, this is a concept long overdue. I look forward to following the progress of this company--and my first trip onboard! Excited about this concept. As a Travel Advisor and active traveler, it's great to see a cruise ship that is really devoted to healthy, active cruising! 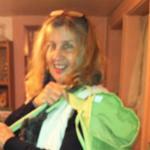 I have 30 plus years in the travel industry, (obviously started work at age 5 lol) wholesale and deluxe retail. I see a need for this product. I’ve saturated my life with a variety of experiences, such as the White House, the U.S. Senate, Holland America Line as a television show host sponsored by Food and Wine Magazine, and acquired two degrees with highest honors in cell and molecular biology and general studies (business administration, communications, chemistry). 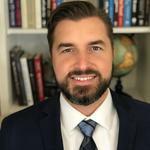 I’m a holistic health enthusiast who will be graduating as a chiropractic physician in December, and continue to live a life outside the box with experience fueled by an educated level of curiosity. I’m driven, motivated and dedicated to causes I believe in. A growing number of cruise lines-operating riverboats and ocean-going vessels-are redefining their onboard amenities, culinary programs and shore excursions to appeal to the growing number of "active" midlife travelers. They're crafting menus with healthy options, bringing fitness activities and experts onboard, and designing new excursions and itineraries. 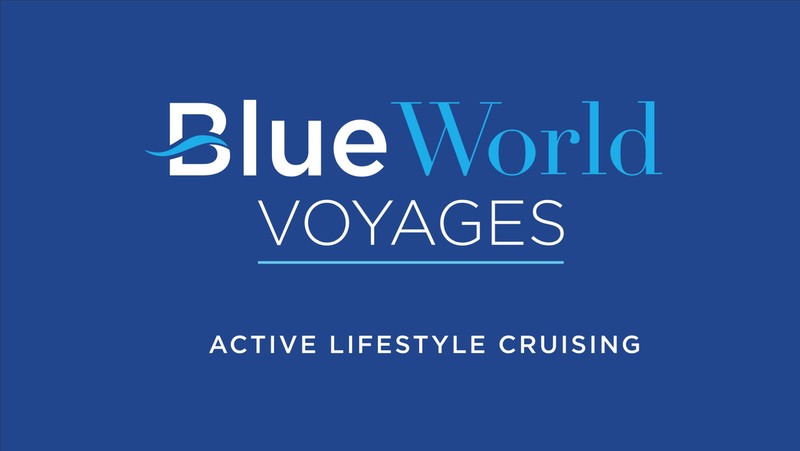 Blue World Voyages, a new line focused on active lifestyle cruising, announced a partnership agreement with internationally imminent Hank Haney Golf. 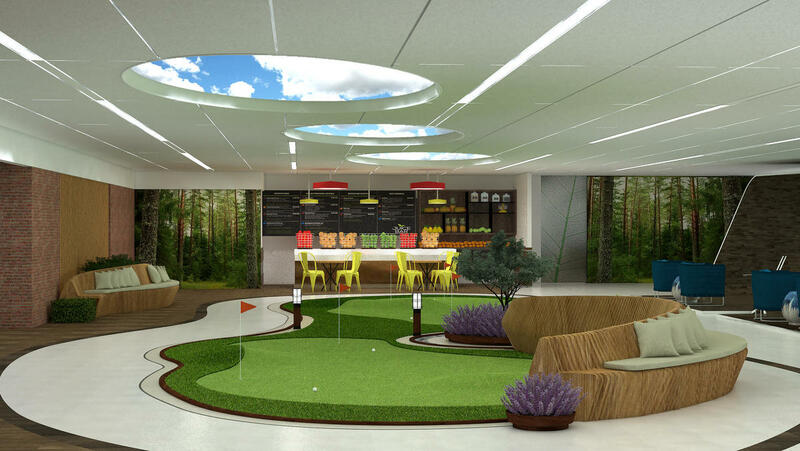 The collaboration calls for ongoing programs aboard ship and ashore, including two special 'golf only' sailings per year. 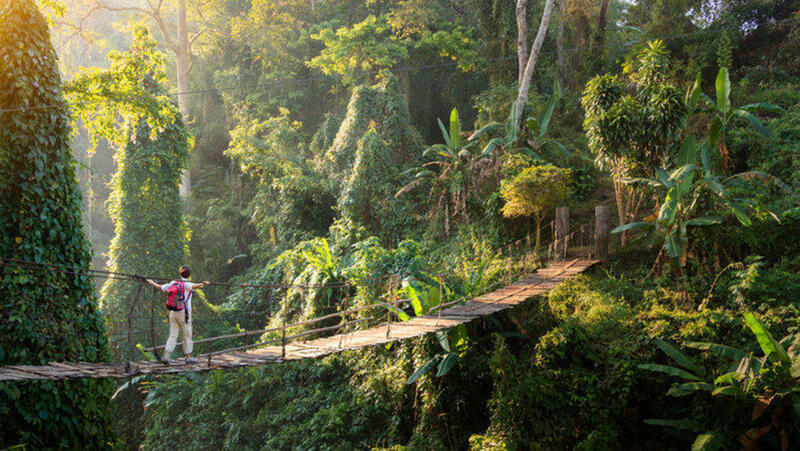 The Getaway Once confined to spas, wellness travel has expanded to encompass the many ways getting away can benefit mind, body and spirit. The spa has left the building. Industry growth indicates those places that once dispensed pampering are now expanding their reach into adventure trips, hotel design and even cultural programming under the banner of wellness travel. Earlier this month, I watched the sun rise upside-down over the pink-tinged cliffs of Isla Espíritu Santo, off the east coast of Baja California Sur. I wasn't seeing some strange celestial happening, however. I was just in downward-facing dog, in the middle of an early-morning yoga class on the top deck of the Sea Bird, one of the adventure-ready ships from the cruise line Lindblad Expeditions. A Miami-based entrepreneur is preparing to launch a new cruise concept-the world's first active lifestyle line, with cycling, hiking, watersports, yoga and meditation, the most comprehensive sports center afloat and healthy farm-to-table cuisine. And, in another cruise industry first, he's going to use crowdfunding to enable travelers to become equity partners in the line (with additional perks). There's no doubt that active lifestyles are a growing focus of existing cruise lines. Ocean and river cruise brands are frequently adding health-conscious options onboard as well as increasingly kinetic opportunities ashore. Now, Blue World Voyages seeks to craft an entire cruise line dedicated exclusively to the market. Forget the buffet. A new cruise line is all about fitness. 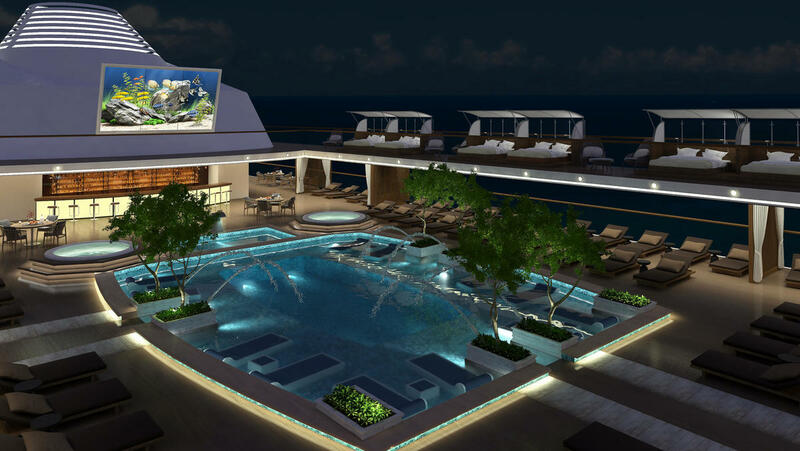 A new cruise line project in the works in Miami wants to be unlike anything else afloat. That means no buffets, no shuffleboard and no slot machines. It does mean a retractable pool that will let guests plunge into the ocean - instead of chlorinated water - with a net to protect them from the surrounding sea life. A former Starbucks president has been appointed chief executive of new "wellness" cruise line Blue World Voyages. 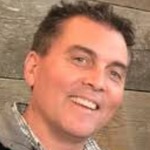 Blue World Voyages will be fully dedicated to sports and wellness Effective immediately, John Richards will work closely with founder and chairman Gene Meehan and the development team to introduce a "new, distinctive cruise industry niche". There's no doubt that active lifestyles are a growing focus of cruise lines. Ocean cruise brands are frequently adding health-conscious options on board, as well as increasingly kinetic adventures ashore. Now, Blue World Voyages seeks to craft an entire cruise line dedicated exclusively to the active lifestyle market, specifically catering to this new generation active. John Richards, former president of Starbucks in North America, has taken the helm of Blue World Voyages, coming on-board as chief executive. The announcement was issued earlier by Gene Meehan, chairman and founder of Blue World Voyages. Plenty of ocean cruise lines are adding wellness-themed offerings to their ships in order to appeal to health-conscious consumers, and in the next couple of years, a cruise line specifically focused on healthy living wants to join them. By MarEx 2017-09-04 20:18:43 John B. Richards, former president of Starbucks, N.A. and other iconic companies, has taken the helm of Blue World Voyages, coming onboard as CEO. Richards will be working closely with chairman and founder Gene Meehan to introduce a new, distinctive cruise industry niche: the first cruise line fully dedicated to sports, wellness and active-lifestyle consumers. Blue World Voyages, a fitness-oriented cruise line in development, named a former Starbucks Coffee exec as its first CEO. John Richards was president of North American operations for Starbucks from 1997 to 2001. He has also been CEO of Elizabeth Arden Red Door Salons and held a variety of jobs at Four Seasons Hotels & Resorts from 1987 to 1997. 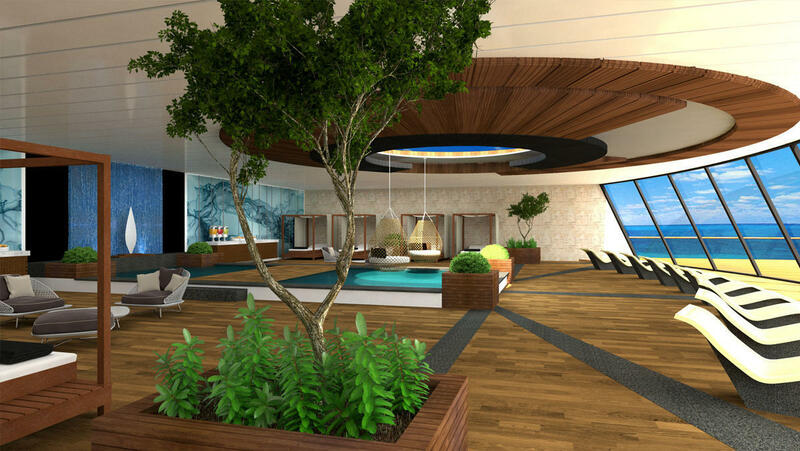 (CNN) - Superlative spas at sea have become a staple of the cruise experience, but recently, a slate of cruise lines have been ramping up ever-more-inventive spa and wellness offerings that expand far beyond the traditional confines of the spa's four walls. 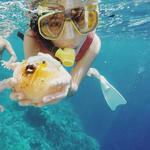 A round-up of what&rsquo;s new on, in and around water for wellness-minded passengers. Blue World Voyages, a new concept cruise line, is planning to launch as a dedicated active lifestyle cruise line to the global cruise market in 2018. Miami entrepreneur, experienced fitness professional and the founder and CEO of Blue World Voyages, Gene Meehan, said he is reimagining the possibilities for what a cruise line might deliver. Thanks for vouching for John B! If you'd like to invest in John B, please open an account. We'll waive your fees if you do it now. We asked John B for 10 personal references. Can you vouch for John B?